What was once a hope has become a reality—the Bike Camp program is growing this summer to include East Portland! 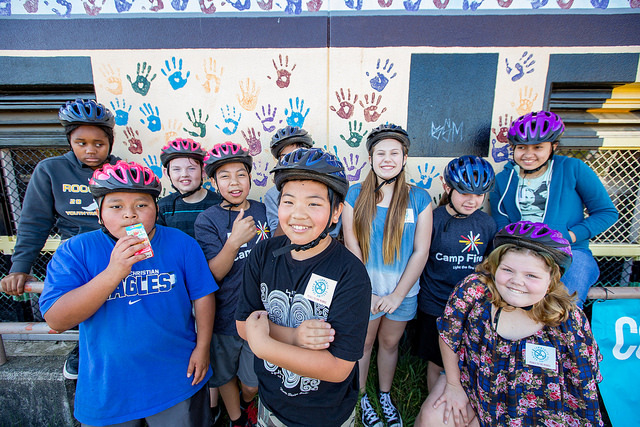 We will be partnering with SUN schools, such as Sacramento School, Shaver School, Prescott School and others to provide bike safety education for at least 84 kids from families living on low incomes. Kids will learn to ride safely on the road and to map routes by bike to destinations in their neighborhoods. Kids will be able to access this programming from their own schools so that they can learn in an environment that is familiar to them. That will prepare them to ride in their own neighborhood once camp is a happy memory. What’s more, the launch of our camp program will coincide with the the opening of the newly constructed riding features at Gateway Green! Students in the camp will have the opportunity to map the best route to get themselves to Gateway Green. Once there, they can hop on our fleet of dirt bikes to try out the trails and terrain. 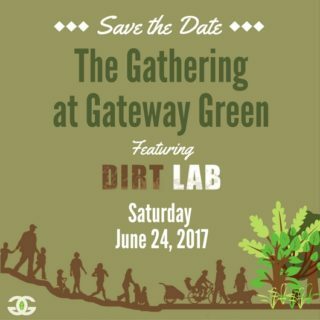 If you’re as excited to see the new Gateway Green as we are and want to walk or ride the many trails that will soon be finished, we invite you to come join us June 24th at the Gathering at Gateway Green: Featuring Dirt Lab. The event will have food, entertainment, and demo bikes available for you to try out the trails yourself. Bike Camp in East Portland would not be possible without the support of the City of Portland. The fleet of dirt bikes is made possible by Lumberyard, who purchased and helped us build it up. Northwest Trails Alliance (NWTA) and Friends of Gateway Green have been working tirelessly to make the space a fantastic cycling resource for the neighborhood. We are grateful to everyone who has helped make this opportunity possible. We’re also eager to announce that we are now hiring summer staff for our bike camp, including a Site Lead and an Instructor for our camps in East Portland! We’re looking for folks who are experienced in working with kids and have the patience and enthusiasm to share their knowledge of biking. If you’re enthusiastic about biking and working with kids, consider working with us! We’re especially excited to receive applications from community members in East Portland who have experience riding and/or working with kids in the community! Special thanks to the City of Portland, Metro, Kristin Lensen Consulting, and Portland Wheelmen Touring Club for supporting our summer bike camps and scholarship program.